Place a slice or two of Canadian bacon or ham in the center of each crust. In a large bowl, whisk together eggs and cream until well combined. Stir in cheddar, red pepper, spinach, onion and garlic. Spoon mixture into muffin cups. Bake for 35-45 minutes, or until the centers are set. Serve warm or at room temperature. Don’t have a Texas Muffin Tin? 4” ramekins also work! Do you ever wanna host a Sunday Brunch? One of those idyllic ones, with all the girlfriends gathered round. Little vats of orangey mimosas. Lots of pretty eats peppered upon the kitchen island. And then, you realize the mere thought of cooking gourmet specialities for your entire Saturday, just to make sure there’s something gorgeous on the table on a Sunday, actually gives you hives? And so, you hit the Google, hunting for something quick and easy. But also elegant. And also creative. And also sooo very Pinteresty. And also, amazing. But also, quick and easy? (Hi, you. Let’s be besties. This is how we brunch.) Lucky for you, we’ve got it covered. 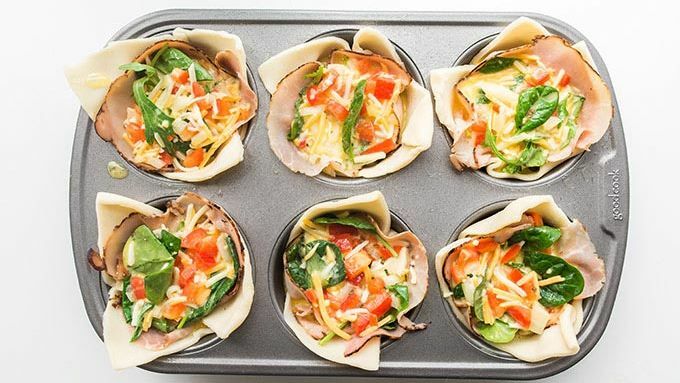 Because these Texas-sized mini quiches are quick. And easy. Not to mention elegant, clever af, and sooo very Pinteresty. When the quiches come out of the oven, they’ll come out looking a little muffin-y and rounded up top. So give your breakfast pies a few minutes to cool. They’ll settle a bit and melt into the most decadent texture. Gently remove quiches from muffin tins by loosening edges with a butter knife. And call over the peoples. You have a killer Sunday Brunch to serve. Brooke blogs at Cheeky Kitchen where she shares crazy simple, healthy family recipes. She joined Tablespoon to share some of her best, so keep an eye Brooke's profile to see what she cooks up next! 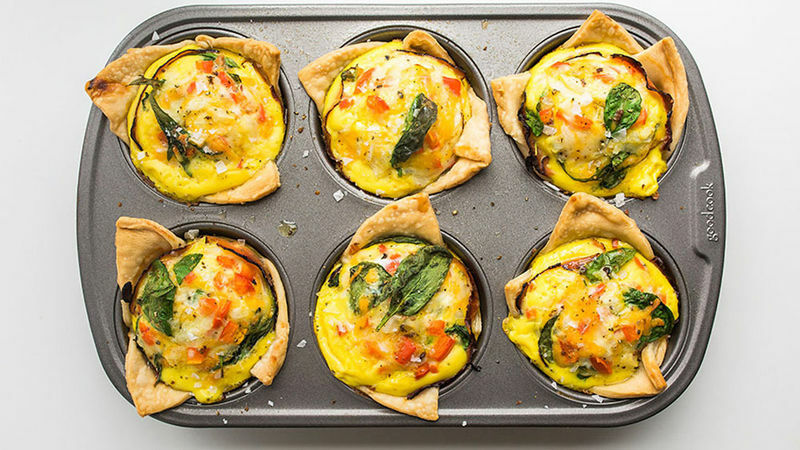 These quick and easy, easy, easy mini quiches are how you host an amazing Sunday brunch without regretting your decision to host Sunday brunch. Just add mimosas! Do you ever wanna host a Sunday Brunch? One of those idyllic ones, with all the girlfriends gathered round. Little vats of orangey mimosas. Lots of pretty eats peppered upon the kitchen island. Lucky for you, we’ve got it covered. 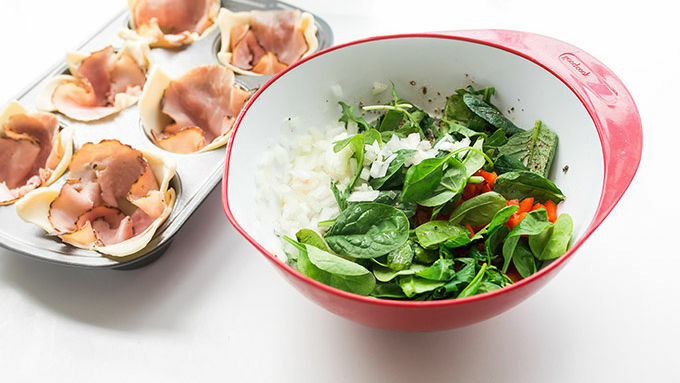 Because these Texas-sized mini quiches are quick. And easy. Not to mention elegant, clever af, and sooo very Pinteresty. When the quiches come out of the oven, they’ll come out looking a little muffin-y and rounded up top. So give your breakfast pies a few minutes to cool. They’ll settle a bit and melt into the most decadent texture. 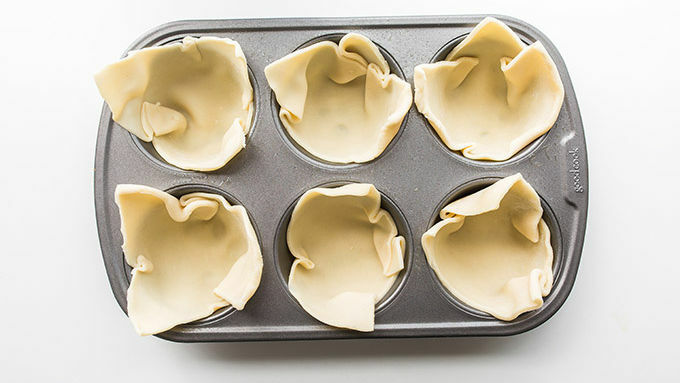 Gently remove quiches from muffin tins by loosening edges with a butter knife. And call over the peoples. You have a killer Sunday Brunch to serve.